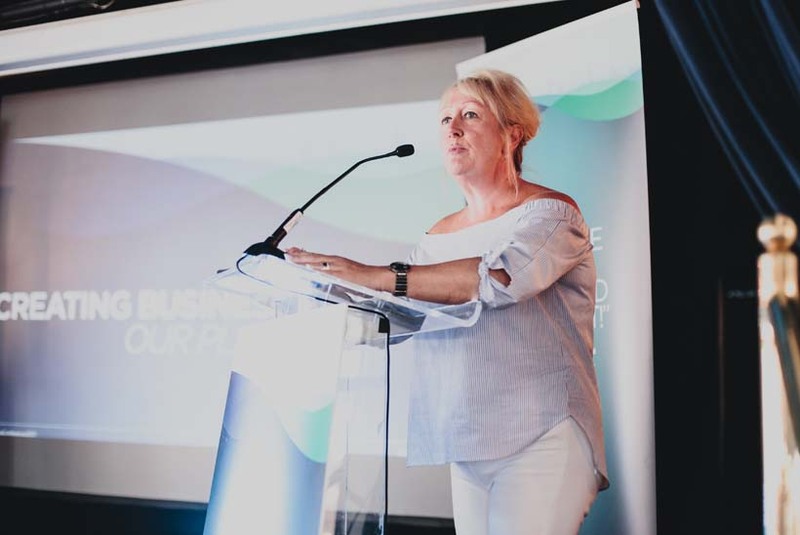 We caught up with Penna's managing director, Julie Towers, at this year's fun-packed annual employee conference, to catch the highlights, challenges and opportunities from the last year, and a glimpse of what's in store for the future. Penna Conference 2017 - The Dixie Queen from Penna on Vimeo. On a hot summer’s day at St Katharine’s Docks, London, we sat down with Julie Towers as the 250-strong Penna team was out celebrating what has been a successful and challenging, yet highly collaborative, 12 months. "From welcoming new employees to celebrating new clients, it’s been a year of pivotal moments for our people", says Towers. "This year’s conference is a chance to celebrate these experiences and make even more special moments we will all remember". This year the aptly themed ‘Making Moments’ conference, which took place on 1st June 2017, united Penna’s employees through a plethora of memorable activities, from a Thames boat cruise and treasure trail, to a Q&A with the management team. The day’s events started with a nautical code challenge, whereby teams had to decode Penna’s business plan. This was followed by a business briefing, and then some of the of the youngest and newest employees were asked to voice what key moments will take place in order to deliver on the business plan. "It’s great to see young talent telling us what they think our future moments will be", enthuses Towers. "It gives us a glimpse of what our business and the recruitment industry might look like in the future." Some of the notable comments included: becoming the number one interim management provider, celebrating success, revolutionising our attraction and communications business to be in shape for the new world of recruitment communications; expanding our market share in the commercial sector and going global. After a barbeque lunch while sailing through the Thames barrier, the teams were given an art history lesson where they had to analyse a Renaissance (aptly renamed Pennaisance) painting and consider what Penna should renew to be as relevant in the future. They then had to recreate the painting, Penna style, and create a canvas photograph of their painting ready to be judged as part of a competition. 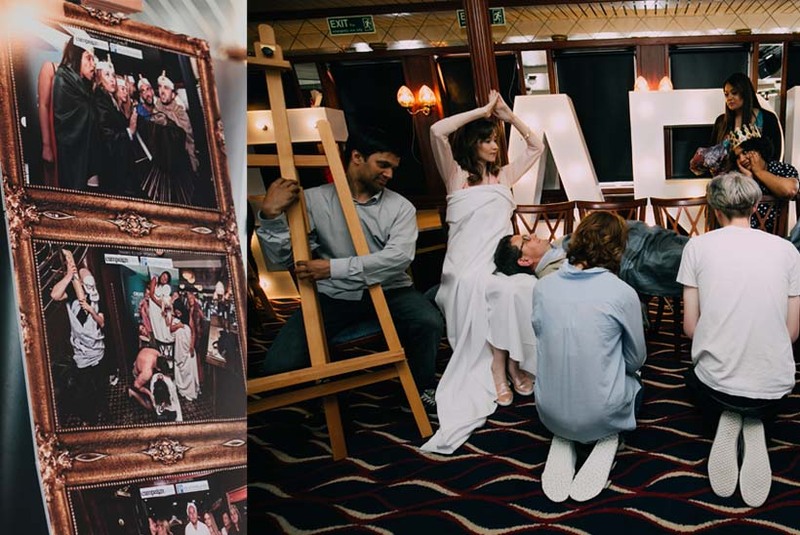 In the mid afternoon, the team sailed across Tower Bridge and then afterwards were tasked to create a blockbuster movie poster, Penna style of course. The evening’s events kicked off with a speech from John Marshall, chief executive officer at Adecco Group North America, UK & Ireland, followed by a boat party, dinner and the Golden Pear Awards that celebrate employee success, concluding with a disco until midnight. With such a packed schedule of events, we asked Towers, what have been the highlights of the last year that Penna is celebrating the most? "The rise of digital, social and programmatic has led us to embrace a multi-channel approach", she explains, "especially with programmatic enabling companies to push relevant information to the right people at the right time whilst they’re surfing the web - something that is becoming increasingly important in our busy lives." However, Towers is adamant that people remain at the heart of recruitment: "Our Penna people will always be the most celebrated part of what makes Penna a success. We’ve grown our employee numbers (our family) by over 15% this year and we believe in the power of getting to know each other and collaborating. "We are all embracing technology very quickly but good recruitment is still about people. Even though new channels, tools and techniques drive us to new ways of doing things, you can’t beat good old fashioned candidate care. That’s something no robot can replace." Julie Towers: "You can’t beat good old fashioned candidate care"
This time last year, Penna had just sold the business to Adecco for £105 million and it was "business as usual". A year on and Towers reflects on how the deal has brought numerous major clients to Penna, including Jaguar Land Rover and IBM: "Through working in partnership with Adecco brands such as Pontoon we are able to provide end to end recruitment solutions; and with the welcome return and growth of our assessment offer we feel able to offer clients so much more." Penna’s owner, and fast becoming their largest attraction client, Adecco, is helping the business go global, starting in North America where they will be opening in 2017, states Towers. The climate Penna is working in is highly competitive and not as straightforward. Towers comments: "We can no longer say media is media, agencies are agencies or recruitment consultancies are recruitment consultancies. We are all getting used to working in a more blended space, and recognise that there will be times when we are a partner and times when we’re a competitor, all’s fair in love and war". Towers sees Brexit as an opportunity to find new ways of finding talent through its international Adecco network, and through the apprenticeship levy. In addition, she predicts the learning and development market will get more investment as companies increasingly look to upskill existing talent. She goes on to say that recruitment is neither in trouble nor in boom. She has seen more investment from clients in internal communications and employee engagement with existing and past employees, which she thinks is set to continue. "We’re in a flat economy at the moment but recruitment through change and reorganisation remains busy even during austerity", she adds. "If people have a choice over where they work then you have to be vigilant about your employer brand and ensure that you are always open to talent. This means businesses like ours remain busy even if the number of jobs are the same or reduced." Towers believes the future will also involve more direct sourcing to complement recruitment marketing techniques: "In our uncertain economy, clients are increasingly seeking the assurance that we’re finding them candidates, not just applicants or positioning their EVP. "We are therefore working internally to future proof our employees and teams, so that we can stay ahead of the services our clients will want in the future. We are looking at how job roles and skills need to adapt and how we can develop the skills of our people." Penna plans to focus its executive business on specific markets and sectors, namely local government, central government, higher education, and transport and infrastructure. It also plans to build on its growth in the commercial sector. Towers asserts: "We have long been known for our public sector prowess and now we plan to ensure our voice is heard in the private sector, building on our existing portfolio of clients which includes Audi, John Lewis and Amazon."